I hear some of the same comments by some who think watercolor is hard and I wish I could erase from the vernacular. Like “watercolor is so hard, it’s the hardest medium” and “watercolor doesn’t last, it fades not like oils”. 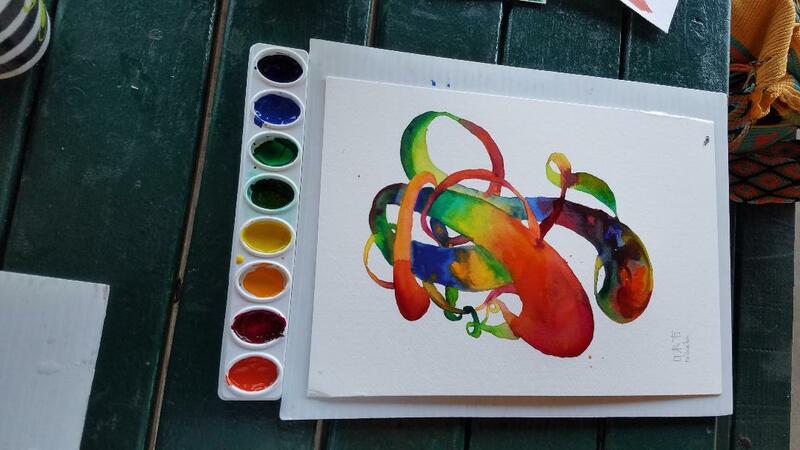 I created this workshop to help share my love for watercolor as well as educate aspiring artists or collectors about watercolor as a medium that brings joy when painting with it as well as to appreciate the creative power of the medium. This all inclusive workshop covers a simple palette and color mixing system as well as a primer on brushes, paper and paint with some basic strokes. Each person goes home with an original piece of work that they have finished. You don’t need to bring or buy any supplies, you don’t need any prior knowledge of watercolor to enjoy this class. Get your tickets on eventbrite Register for Color Bridges Workshop. © 2019 Dawn Yoshimura Studio . Powered by WordPress. Theme by Viva Themes.